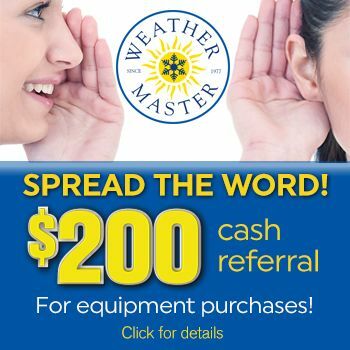 We were very pleased with Weather Master's service. When their crew came to install our new HVAC, they ran into problems they didn't expect with our old ductwork. They ended up needing to replace many of our ducts in our garage near our unit, which took much longer than expected. The guys were here until after 8 pm, working by flashlight in the dark and cold driveway to finish the job. We were very impressed that they stayed until the job was done!